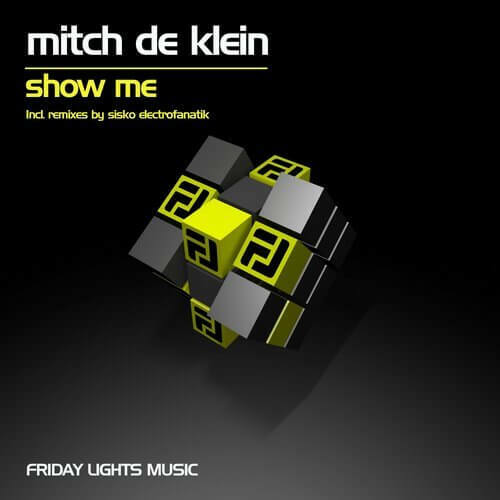 Friday Lights Music is proud to present a single release by Mitch De Klein “Show Me”, with a fantastic ’Smashin’ remix from a legendary Italian pioneer – Sisko Electrofanatik. After a successful release on labels like ELEVATE, DISTORTUS MUSIC, ARMADA, FUNK N DEEP – we are glad to have Mitch on board with us! The groovy dutch-man is providing us with a very special original track. Strong rhythm section and baseline taking control from the start of the track. The vocal that asks ’’to show it whatever you need’’ is spinning around between the loops and creating one of the grooviest weapons with a heavy atmosphere. In our humble opinion – must have a track if you like it groovy and techno. Sisko Electrofanatik providing ’smashin’ beats remix. Italian maestro takes parts of vocal delays and a playful lead from the original and goes miles away to his zone – big kick, big sound, huge drop and a masterful build up. We are really excited to host Sisko with such a monster remix that really shows us whatever we need.